The Ethernet is a LAN technology that is used to transmit data between computer systems. 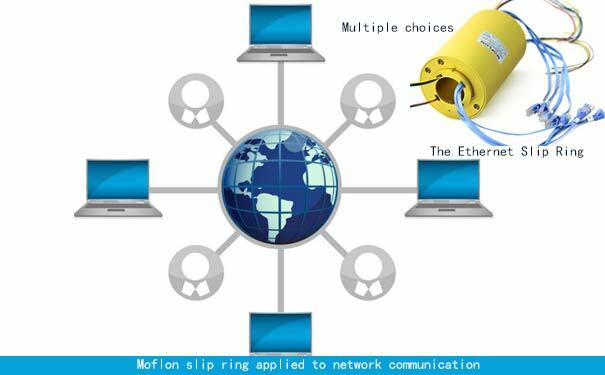 An ethernet slip ring is a modern invention, which helps to deliver bandwidth or data from a stationary source to a rotating device without interruption. The slip ring in itself is an old invention, as old as the electrical motors, but with time the need has come to transfer data signals as well, from a stationary to a rotating component without interrupting the bandwidth or data flow, which otherwise can hamper the intended tasks. 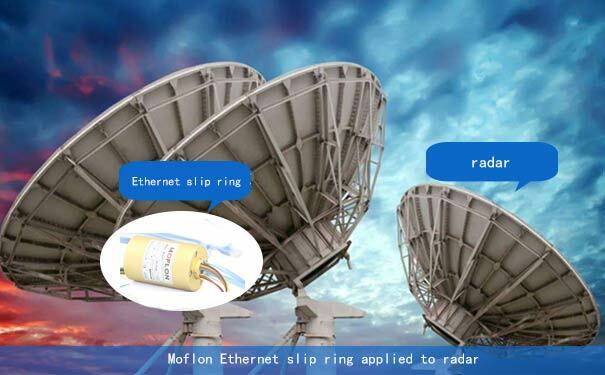 Modern devices which are vital to us such as imaging technology equipment, industrial robots, turbines, radar antennas, helicopters and more such devices require ethernet slip rings to maintain a flow of data from rotating to stationary components without interruption. It is an established fact that the main aim is to maintain the flow of power, signals or data without interruption or jitters from stable parts to rotating parts. This is achieved through a capsule slip ring, which is a cylindrical device with a slip ring rotor and the brushes located inside the capsule, where the brushes are made of precious metals, which helps the rotating surface maintaining a good level conductance and flow of energy from the stationary to rotating component. slip rings are electromechanical devices which help transmission of energy from a stable to a rotating component. The Ethernet slip ring deals with signal or data transmission. In case of data, it is crucial that the flow is uninterrupted; here the concept of 'bandwidth' is important. Bandwidth is a range of frequencies in a given band, based on the flow of bandwidth; latency is affected. A latency is a delay between the individual packets of data flow. So, both bandwidth and latency determine the speed and capacity of a network, both of which are vital to the functioning of a network dependent system. To maintain a consistent flow of bandwidth and maintain a stable latency, the Ethernet slip ring becomes crucial in the rotating system. It ensures a stable flow of bandwidth without inconsistency that would not have been possible otherwise. Essentially the frequency of data bandwidth depends upon the source of the data flow; in order to increase the frequency of the data bandwidth the source of data must also increase the frequency. However, with an inconsistent data flow or hindrance in the pathway can risk severely reducing the frequency of data bandwidth. The ethernet slip ring resolves this problem. In the absence of it, any other method would require some level of compromise in the data flow, which in turn reduces the frequency and thereby reducing the quality and capacity of the established network. The Ethernet slip ring manages to resolve this issue by maintaining a consistent data flow between the stable and rotating components and preserving the original frequency of the data flow. Pri: How a Slip Ring Sssy (assembly) Works in an Electrical Appliance? Next What is the concept behind the introduction of the fiber optic slip ring?